Trees can augment the beauty of any premises with their vibrancy and lushness. Their aesthetic appeal and beneficial properties make them a valuable addition to every residential or commercial in Tacoma. Trees require timely attention and tree care, irrespective of their size, type, location or species.Regular tree care can keep them healthy, however trees infected by diseases and insects should be removed immediately to avoid the infection from spreading and affecting other trees as well. If you are looking for professional assistance and efficient tree service to enhance the appearance or longevity of your trees, then we, at Hunter's Tree Service,have just the right solutions for you. 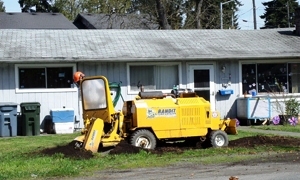 We offer an array of tree services in and around the Tacoma area to serve the needs of home and business owners. While some people in Tacoma consider it easier and more cost effective to take care of their trees themselves, it is definitely not true. By doing it yourself you are not only risking the wellbeing of your trees, but also putting yourself in danger. 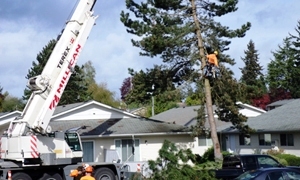 With a professional tree service, your Tacoma trees will have the necessary tree care to keep them strong and healthy. Our tree service is more than just tree trimming! The deep understanding and knowledge of various tree care processes and the ability to offer timely solutions to save the trees from diseases and other infecting elements, makes our tree care experts ideal for all of your tree care needs in Tacoma. At Hunter's Tree Service we pay special attention to the wellbeing of your trees and offer tree services like tree trimming and pruning which are vital for their healthy growth. The tree trimming process is aimed at making your landscape prosper, while addressing tree care needs, like safety, appearance and structural integrity. 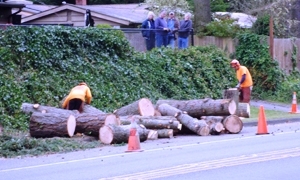 Tree trimming involves cutting the limbs of trees at a suitable time of the year. Tree trimming and pruning, enhances the visual appeal as well as increases the life span of a tree.Preventive tree care and maintenance is better for keeping your trees healthy and safe from diseases, rather than spending more time and money on their removal later. So, stay safe and keep your trees healthy by hiring our professional tree service and make sure your trees keep adding value to your Tacoma property for a long time to come.